Our Annual General Meeting was held on Thursday December 6th 2018 at the offices of The Armory, Level 7, 53 Walker Street, North Sydney from 4.00p.m. At this meeting, the Board of Directors was elected for 2018. Our Board comprises senior leaders in the foodservice industry who have committed to the improvement of services for members. Mark is the Head of Sales (Foodservice & QSR) at Ingham’s Enterprises, one of Australia’s largest poultry producers, delivering high quality chicken and turkey products across Australia and New Zealand. Mark has a strong knowledge and understanding of the Foodservice industry having worked across a variety of food and beverage manufacturers for the past fifteen years, such as Coca Cola Amatil, Cerebos Australia and Allied Mills. Mark is a proud husband, and father of 3 x young children, enjoys his golf, rugby and time at home with the family growing his own fruit and vegies on the farm! Sissel has more than 20 years of experience in marketing research, industry forecasting and strategic consultancy in Australia, Asia, Scandinavia, The Middle East and the UK. For the past eleven years Sissel has specialised in the foodservice industry, and currently heads up Food Industry Foresight Pty Ltd.
Sissel has extensive knowledge in all aspects of marketing research and its methodologies as well as analysis and strategy development. This includes market sizing, brand valuation, distribution, competitor analysis and growth prospects. Eugene is the Head of Sales, Marketing and NPD at Birch & Waite. Birch & Waite is well known for it’s multi-award winning fresh chilled mayonnaise, dressings and sauces and is renowned as one of Australia’s most innovative food companies, with a core capability in fast to market new product development and a strong track record of investment in industry leading technology. Prior to Birch & Waite, Eugene gained his significant senior level FMCG experience and developed his passion for the Foodservice industry from leading the Coffee and Foodservice divisions at Cerebos Australia for 6 years. Eugene also has the unique perspective of having spent time on the buying side before his years in sales and marketing, with roles leading the procurement functions at both Steggles and Cerebos. Eugene has an MBA from AGSM and his interests include spending time with his young family, playing golf and staying fit. 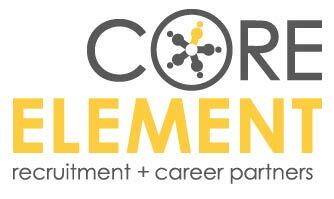 Steve is the Director of Core Element, a Foodserice specific recruitment organisation. He has been in the industry for fifteen years with companies such as George Weston Foods, Simplot, Frito Lay and Arnotts. Steve is the proud father of Benjamin and Matthew! He is a mad runner and stand-up paddle boarder and would walk over hot coals for a good pizza and bottle of shiraz! Cecil is Head of Marketing for Nestle Professional and has been in the Food and Beverage industry his entire career, predominantly with multi-national companies. He has worked in South Africa and New Zealand in various marketing roles. Cecil is active in sport ranging from soccer to swimming and running. 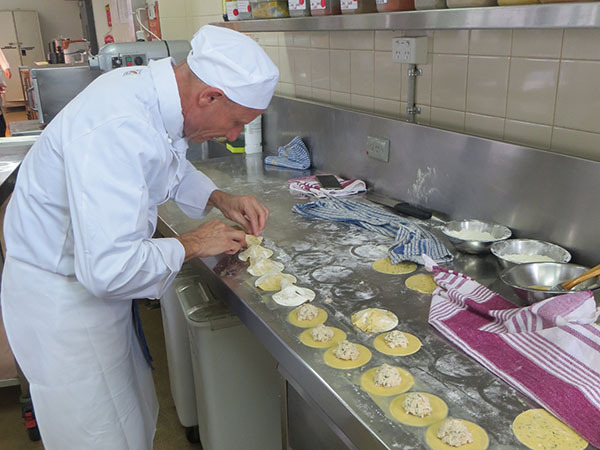 Vince has been in the industry for +40 years, starting as an apprentice cook at QANTAS. He has owned a restaurant, taught at TAFE and held senior positions in general management, sales, marketing and strategic development with major companies such as Chefs Pride, Goodman Fielder and Uncle Tobys. Vince's interets include baseball, most other sports, cooking, meeting people and music. After completing formal qualifications in 1973 and subsequent interesting vocational positions, Lindsay launched The Armory in 1980 as a Foodservice specialist communications agency. Over the next 30 years plus The Armory has developed with the industry it is passionate about! With his partner, Lorraine Lovelock, the company is seen as being at the forefront of Foodservice communications, and with its integrated marketing approach, has assisted many organisations in launching new Foodservice companies, brands and products. "Foodservice is an exciting business to be in - if you're not, you don't know what you are missing!" Melissa Humphries has extensive experience in the Food Service Industry, starting as an apprentice chef some 26 years ago. After a number of years in the trade, she moved into Sales and Marketing as an Area Manager for a Food Distributor before moving on to Unilever as an account manager, Top Hat Fine Foods as QLD /NT State Sales Manager and State Sales Manager QLD for Steggles. In 2005 Melissa started her own successful company, All Foodservices Australia. In July 2013 Melissa took advantage of an offer from Trumps Foods and is currently their National Food Service Manager. Interests – Camping, Swimming, Trail bike riding and chasing after her young children. Ken Hartley is the Chief Executive Officer of Priestley’s Gourmet Holdings. A leading and multi award winning dessert company, Priestley’s Gourmet Holdings operates in Australia and New Zealand and encompasses Priestley’s Gourmet Delights, Melba Foods and the Elite Food Group. With 27 years of food industry experience, Ken brings a well-rounded cross-functional awareness developed through senior roles in Sales, Operations, Commercial Management, Product Development and Quality Assurance within significant food organisations including JBS Swift, Frito-Lay, Vesco Foods and Woolworths. This is supported by both domestic and international business experience across the Middle East, Asia, Australia and NZ. Formal qualifications include a Ba. App. Sc. Food Technology (honours) from UQ and an MBA from QUT. Interests include rugby, athletics and anything that the whole family can enjoy together. Yezdi is Managing Director of Unilever Food Solutions where he has led the business in Australia and New Zealand as one Purpose driven team. Yezdi is a Foodservice specialist with ten years experience as a chef in India, Switzerland and Australia and was Executive Chef at the Old Sydney Parkroyal Hotel prior to joining Unilever Food Solutions in 1992. With Unilever Food Solutions, Yezdi has spanned roles in Sales, Chef and Marketing and has been Managing Director Australia and New Zealand since 2004 during which time the business has transformed from a commodity driven business to one which consistently delivers strong turnover and profitability growth. The business has won a number of internal and external accolades including Global UFS Best Business Results Award in 2012 and Global UFS Compass Award in 2013 and 2014. Yezdi did the AGSM Graduate Management Qualification in 1996 and is a highly motivated individual with effective communication skills, business understanding and a passion for business and people development. A foodservice marketing specialist with over 17 years industry experience, Tim is a strong believer in the local Australian foodservice industry. Prior to moving to Australia, Tim worked in the US in the hotel industry and in the UK where he spent nine years working in London for a global catering and hospitality business. 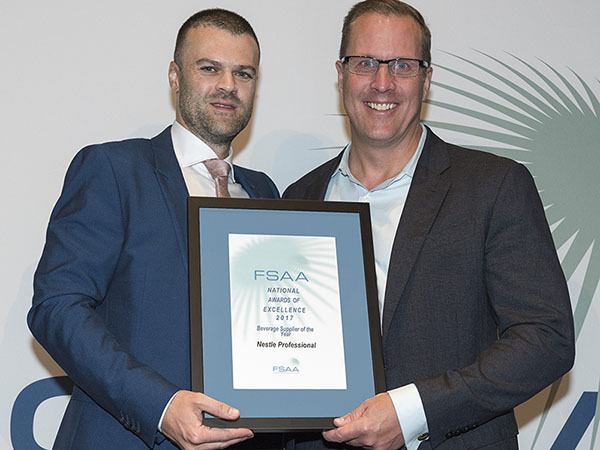 More recently, Tim has been central to the establishment of the foodservice business within a manufacturer in Australia where he has led all product, marketing and awareness growth efforts. He is passionate about foodservice and believes in the continual improvement of the industry, through better access to information, resources and nurturing talent.